Discussion in 'Star Citizen' started by Horace, Apr 17, 2018. Back in October of 2015, we reached an amazing milestone when our Community grew to one million Citizens. To say I was proud and humbled then remains an understatement, and those feelings have only doubled as I welcome our two millionth Citizen into the ‘verse. 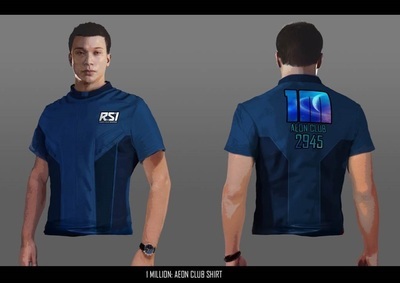 As Star Citizen has continued to grow over the years, so has the community in just as many astonishing and encouraging ways. The backers remain the foundation of this project and a beacon to the entire gaming industry and beyond. You are proving that PC games, space sims, and a willingness to push these artforms into new realms of innovation are alive and well, with more exciting possibilities than ever before. With two million people (and counting) inspiring and counting on us, the Star Citizen team is more galvanized than ever in our efforts. We’re listening to what you want out of Star Citizen and working to get more amazing content and mechanics into the game, while also pouring resources and focus into quality of life improvements and polishing current features, to make it a satisfying experience, even while still in Alpha. It’s your belief in the project, from the earliest backers to those relatively new to the ‘verse, that make it all possible. To celebrate this, we’re releasing special badges to commemorate your dedication and engagement. The 1M badge for those of you that were part of the first million backers, and the 2M for those brave adventurers that have joined us since, up to and including our two millionth Citizen. 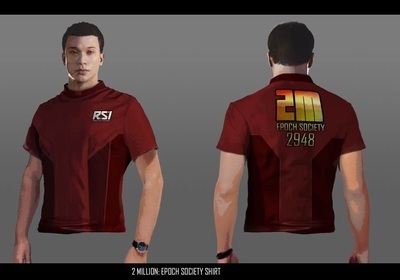 As a bonus, when available in the ‘verse, you’ll also be receiving an in-game T-shirt with a similar logo, so your character can sport a stylish reminder that they’ve played an integral role in the shaping of their universe. As we look ahead to Alpha 3.2 and beyond, the team and I thank each and every one of you from the bottom of our hearts. When we started on this adventure, we couldn’t have imagined the passion, perseverance, and dedication that so many would have. It’s because of that dedication – your dedication – that we can continue to design, build, and deliver the Best Damn Space Sim Ever.